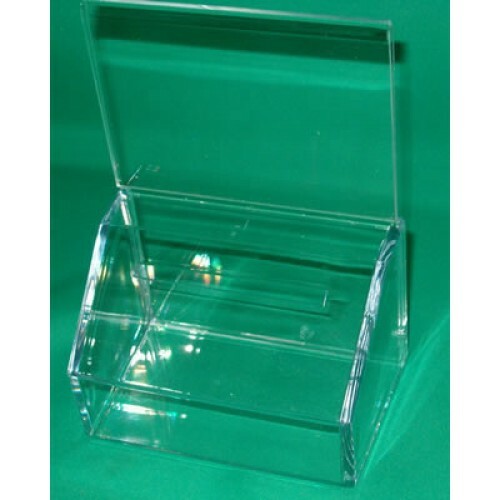 This Economy Style Donation Box has provision to use a small padlock or a small zip tie to secure collected items. 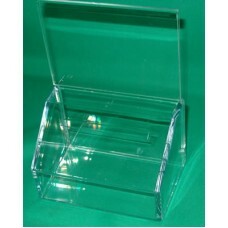 Sliding back side of the Donation Box serves as a Sigh Holder, it can be easily removed to take out collected items. You can easily change your message without removal of the back Sigh Holder.